Help for you to remain living in familiar surroundings whilst getting the help you need with your everyday life. 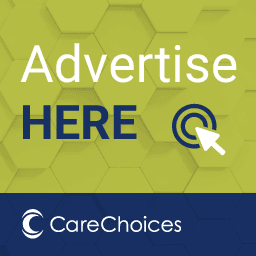 If you are looking for care at home, you might want to know more about what types of home care are available and how to pay for care in your own home. The information here can give you a good introduction to finding domiciliary care. For many people it is important to stay at home in their own, familiar surroundings near to friends and family. At the same time, remaining independent may also be very important to you but that can mean you need a little extra help. Some carefully chosen home care (sometimes known as domiciliary care) can often be the perfect solution to getting a little help whilst retaining a good level of personal freedom. Reasons for choosing homecare can vary. Sometimes after a stay in hospital, someone might find they need some help whilst they recuperate. Others can find that a long-term condition or disability means they need some help at home. How you access care at home can also vary. After a stay in hospital someone may carry out an assessment of your situation to see if home care will benefit you. You and your family will be fully involved in looking at what will suit you best. Alternatively, you or those close to you might notice changes in you being able to manage the day-to-day things you normally cope with easily, like preparing meals or looking after yourself. If this happens, speak to a homecare agency to discuss your specific requirements. Alternatively, you can contact Adult Social Care. Councils have a duty to carry out a care needs assessment for anyone who might need help, which is very useful in helping you make care and support decisions. It will equip you with information that will be invaluable in finding the right help. The level of homecare provided can be tailored to meet your needs – from a visit once a day to a much greater amount of help. Home care agencies can help with personal care such as washing and dressing. You might be surprised to learn that even those with quite significant health conditions can get a level of skilled personal care that can enable them to stay in their own home. Some agencies will provide ‘live-in’ care, where a care worker will stay with you at home to support you throughout the day and night. This service offers long term respite or day support for people either within the Shared Lives Carer’s own family home or in the service user’s home. The person can either live with the family permanently, or go to stay with them for overnight short breaks, or for a few hours per week. The Shared Lives Scheme is usually available to any vulnerable adult over 18, who meets their local council’s eligibility criteria. If you would like to live in a Shared Lives home and be cared for by a Shared Lives carer, or to become a Shared Lives carer, then you (or a family member, relative, friend, neighbour or any other adult) should contact your local council or adult social care provider. Use our search function to find homecare providers that meet your requirements. There is a professional body, the United Kingdom Homecare Association (UKHCA), which requires its members, home care providers, to comply with a code of practice. This code includes a commitment to treat customers with dignity and respect and operate at a level above the legal minimum required in legislation. Social care regulations do not apply to cleaners, handymen or gardeners. However, some homecare agencies are increasingly providing staff who can help meet these needs too. You might decide that you want to employ a personal assistant to provide your care privately or have a member of your family who can provide the level of care you need. managing health and safety issues. Carefully chosen homecare, with a good quality provider, is an excellent way to retain your independence, whilst getting the help you need to stay happy and safe. It can offer the opportunity to stay at home, in familiar surroundings, whilst getting the help you need to stay happy and safe. If your loved one requires care around the clock but would like to remain in their own home, 24-hour live-in care may be a suitable support system for them. It is understandable that most people would prefer to live in their own home rather than move into a care or nursing home but, if your relative is feeling increasingly isolated or lonely, then this will have to be considered alongside their physical needs and, at that stage, a care or nursing home may be the better option. Live-in care can be a useful service to offer short-term respite to carers who may want to have a holiday or just need a break. Live-in care can also be useful when an urgent need for care is placed upon families and hospital discharge relies on having the right amount of care and support in place in your loved one’s home. In this regard, a live-in carer would help with recuperation and rehabilitation whilst working alongside professionals in the community, but this may only be for a limited period of time. Find out more about Live-in care services here. Local councils provide upfront information on how much people can expect to pay and how charges are worked out. This information must be made available when a needs assessment is carried out and written confirmation of how the charge has been calculated must be provided after a financial assessment. People with more than £23,250 in capital including savings have to pay the full cost of care. The value of the home is not counted when working out charges for non-residential care. If you have more than £23,250 you should tell Adult Social Care if your savings are likely to fall below this amount. The rules around financial assessments are set in Government regulations and guidance to ensure your finances are assessed in a consistent and transparent way. This ensures people are only required to pay what they have been assessed as being able to afford. Adult Social Care will work with you to assess your finances and will also carry out a full benefit check and may be able to assist you with claiming your full benefit entitlement. You don’t have to contact the council to arrange home care services, you can contact providers directly. If you do not qualify for a financial contribution from Adult Social Care there are various ways in which you could consider paying for care and support. It is important that you seek independent financial advice when considering funding options. There are independent financial advisers that focus specifically on care funding advice, often referred to as specialist care fees advisers. They are regulated by the Financial Conduct Authority (FCA) and must stick to a code of conduct and ethics and take shared responsibility for the suitability of any product they recommend. The Society of Later Life Advisers (SOLLA) aims to assist consumers and their families in finding trusted accredited financial advisers who understand financial needs in later life. Search its website www.societyoflaterlifeadvisers.co.uk/find-an-adviser to find a SOLLA-accredited independent financial adviser.